New ‘Man of Steel’ trailer! DOOM DeLUISE: Always the case. JIM DOOM: — is Doom DeLuise. DOOM DeLUISE: What’s one of history’s greatest mysteries? 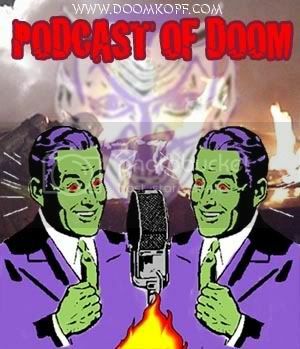 JIM DOOM: Where the Freemasons buried their gold? DOOM DeLUISE: You see the new Man of Steel trailer? JIM DOOM: No, I haven’t. Is there a new one? DOOM DeLUISE: Here, why don’t you go ahead and watch this. JIM DOOM: How does Superman shave his beard?